Caught in a French cellar…again! 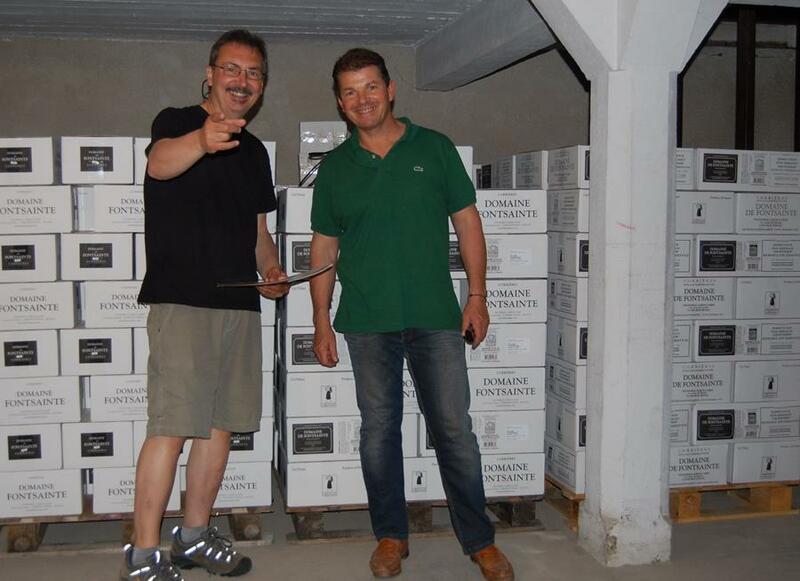 The soulful wines of Domaine de Fontsainte & Bruno Laboucarié. Special Pinot Noir Focus tasting: this coming Tuesday, April 19 at 6 pm. This Oregon pinot noir tasting has evolved into a wider focus on the variety, with selected 2005 and 2006 red Burgundy thrown into the mix. As I looked at the remaining supply of these wines it was clear that they merit a closer look in a sit-down tasting format in the context of recently released super=premium Oregon pinot noir. We'll be reaching to the top shelf for this one folks and in the final analysis $55 will look like an incredible bargain. Top Oregon wines from 2012, 2013 and 2014 will be included. Don't miss it! Classic Pouilly-Fuisse checks in at less than twenty five bucks. For those of you who missed it, Tuesday's Kobrand luncheon - another in our series of Authetica No-Host wine tasting Tuesdays - was great fun. And this outstanding Pouilly-Fuisse showed incredibly well in the context of far more illustrious (and far more expensive) company. A great preview of the quality of the 2014 Burgundy vintage, Jadot's Pouilly-Fuisse is sourced from some of the finest and oldest vineyards in Fuisse, at the foot of the great limestone outcrop of Solutré. This is exquisite, richly textured yet finely contoured white Burgundy that captures the essence of those crumbled limestone-rich soils and goes a long way toward reclaiming the nobility of this oft exploited appellation. Oregon received just a small allocation of this textbook Pouilly-Fuisse so make sure and taste it Friday. "Ripe and fleshy, this exhibits peach, apple and floral aromas and flavors. There's a citrus element courtesy of lemony acidity, and the lingering finish evokes mineral. Drink now through 2022." Wine Spectator - 91 pts. 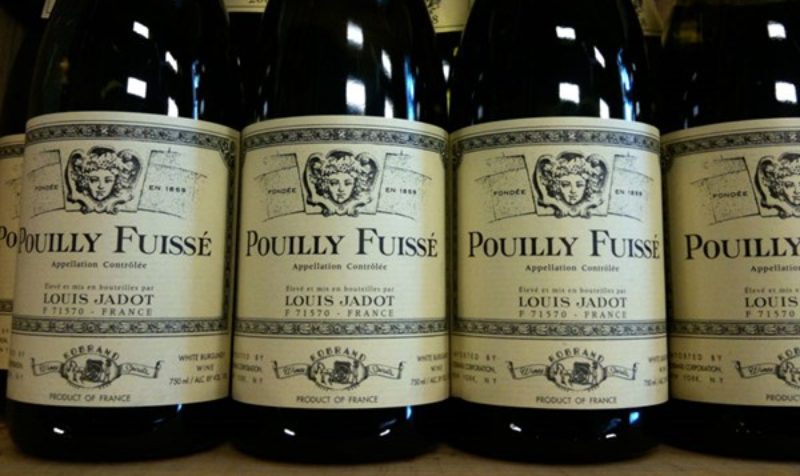 Pouilly-Fuisse, Maison Louis Jadot, 2014: $28.95 / $24.60 Authentica Wine Club Price. We quickly sold through the 2012 vintage of this Bordeaux blend from the famous Ciel du Cheval vineyard in the Columbia Valley because customers loved the rich, dark and full throttle expression of cab, merlot, cab franc and petite verdot grown in the loess soils of this coveted vineyard. Of course there was also the drastically discounted close-out pricing for the 2012! But if there was any criticism, it had to do with the wine's youth. 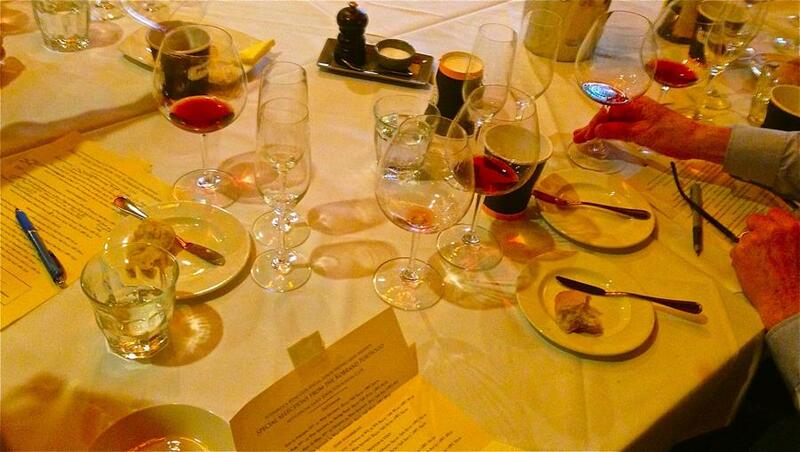 Many tasters planned on laying the wine down for an additional 2 years before drinking. Well the good news is that the winery wants to move the remaining cases of the 2010, a tremendous vintage that is just now rounding into form. Needless to say, the extra two years in bottle has allowed all the complex and powerful elements to integrate more fully, resulting in a bold and complex red blend that is ready to enjoy now. The 2010 T.E. Claret is great Washington state red blend for around twenty bucks that will go in a trice! 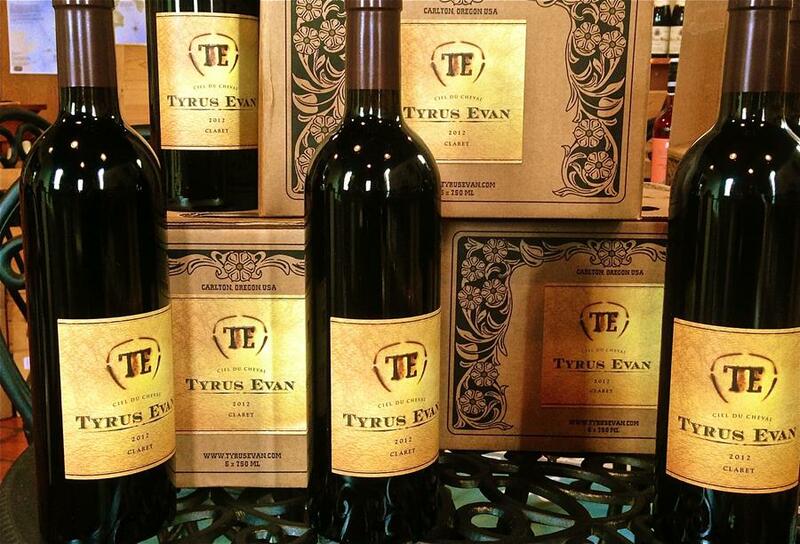 We'll be sampling this luscious red all weekend so make sure you stop by for a taste Friday or Saturday. Terrific Vacqueyras is back and available for sampling this weekend. 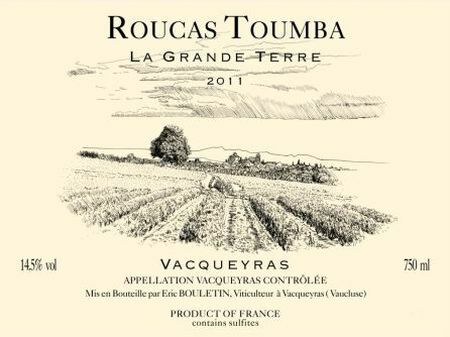 We couldn't quite work in this exquisite new offering from a favorite southern Rhone producer last week but we sold it all anyway to those familiar with the great wines of Eric Bouletin of Roucas Toumba in Vacqueyras. We promise to pour this exquisitely balanced grenache blend this weekend - probably on both Friday & Saturday. Sourced from 55 year-old grenache vines and 30 year-old syrah and mourvedré from vineyards in the family's possession since the 1730s, this Vacqueyras is in a class of it's own, with the nuance of Burgundy married to the power and primacy of the southern Rhone. The Perrins once bought this fruit for Beaucastel and in fact, many of Eric's wines would give the vast majority of Chateuneuf du Pape a serious run for their money. 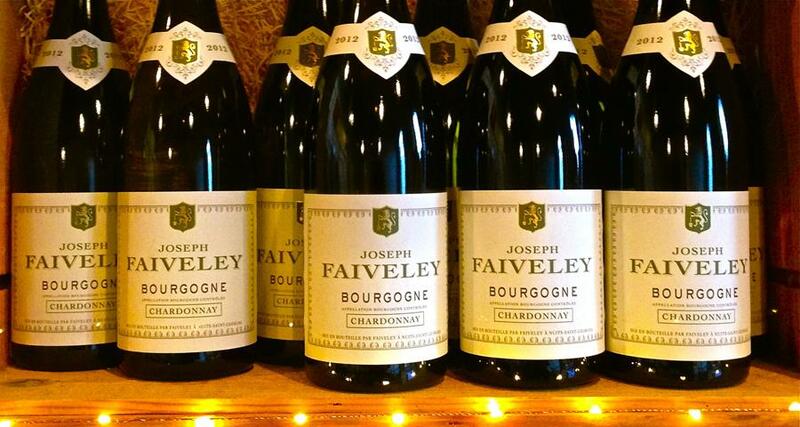 The Faiveley portfolio continues to impress at every level, especially in a terrific vintage like 2012. We now have the exquisite 2012 Bourgogne blanc back in stock after a brief hiatus and it merits the attention of every serious Burgundy lover in the crowd. Sourced from vineyards surrounding the epicenter of great whites in the Cotes de Beaune (many of which which the family actually owns - not just manages) this wine is round and full bodied, with roasted nut, citrus flower and orchard fruit aromas and flavors that would rival some Village wines - and maybe even a few Premier Crus that sell for three times the price. But be forewarned - the last container of this great vintage has now been unloaded in Portland and it won't last. Grab some of this formidable white before it's too late. I'm certainly stocking up! This week's SuperPour: A mind blowing pinot gris & a 2005 Vosne-Romanee. 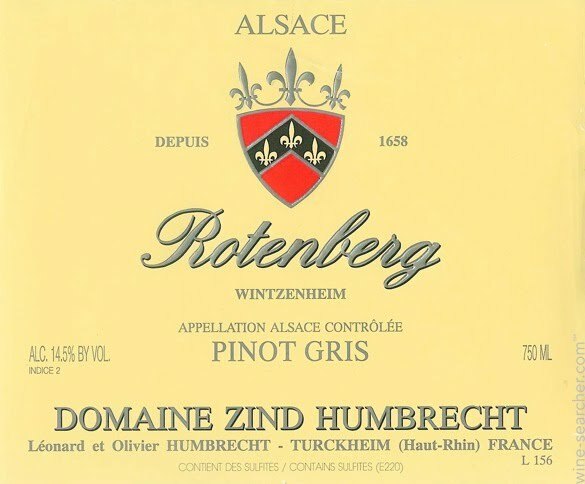 A featured wine at Tuesday's luncheon tasting that bears sharing with the greater wine club, the Zind-Humbrecht Rotenberg Pinot Gris 2012 will transform your perception of pinot gris. Don't miss the chance to taste this outstanding wine, along with the Bouchard Vosne-Romanee 2005. There are just a few cases remaining of these perfectly aged 2005 and 2006 Burgundys remaining, so we'll be working our way through tasting them in the coming weeks. With new release vintages priced in the stratosphere due to inflation, market pressure and recent low production, anyone with a desire for mature Burgundy would be wise to secure these wines before they disappear. And here is your chance to taste one. Saturdays are great times to visit Authentica and the Lane County Farmer's Market. We offer glass pours, bottle sales and tasting flights during our Saturday Wine Bar from noon to 3 pm.